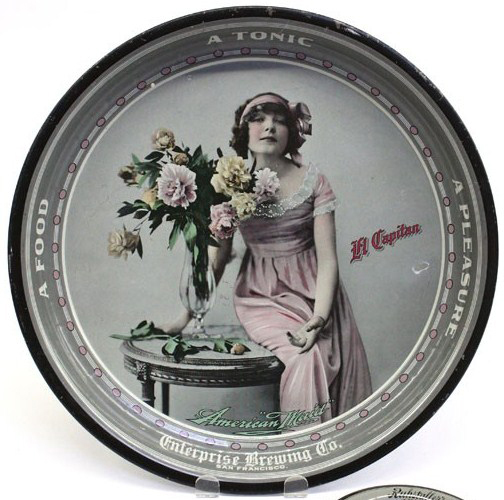 Serving Tray for The Enterprise Brewing Company showing in the center The American Maid, a woman in a pink dress sitting on a table next to a bouquet of flowers. “El Capitan” is stated beside the maid. The text along the border states A Food, A Pleasure, A Tonic.